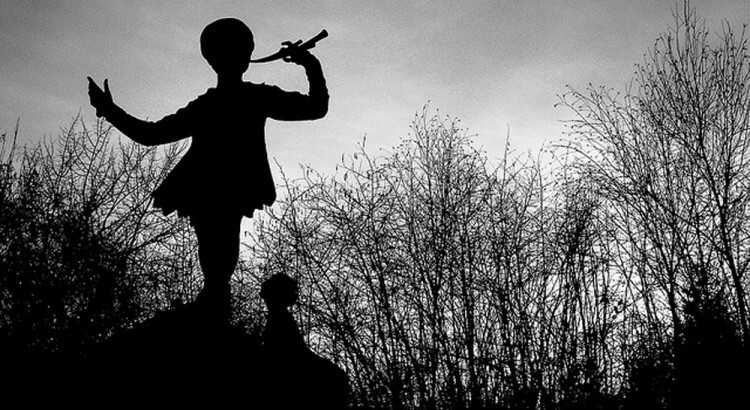 Does the EU have Peter Pan syndrome? Over the last years, we have heard, and it has been repeated in many forums and in varied locations, that the European Union is at an impasse (the Constitutional Treaty), or that it appears to be in a reverie (Lisbon Treaty and the economical and financial crisis). Funnily enough, the best developed model to face the challenges emerging from globalization is to ask, once more, who we are and where we are going… Perhaps because the conservatives only see Europe through the exclusive prism of peace and the market while, on the contrary, we progressives see it as a lifestyle: well-being; one and another agree that Europe is still a necessary and attractive project, although our differences, the depth of the crisis, economical, political and bureaucratic dogmatisms, and the non-fulfillment of the Treaties, and the balances and carelessness of the European executive, are at the root of the apathy and the re-edition of nationalisms and post-fascisms. It is not lucid that the Europe born from the Marshall Plan and the ECSC, the second world economy, is not capable of making any progress in the most interesting and complex political-institutional project of the modern age, that it is not capable of getting rid of the psychological guardianships that hinder its construction and its leadership on the international stage. Europe is much more than a model of success and, from a political point of view, it cannot allow itself immaturity in political and institutional matters. It needs to continue to grow. Despite the flashy title of this article, I do believe that the disorder is only in appearance, because the European Union seems to have run out of ideas (in the abstract and specifically), but this is not true. Both the College of Commissioners and the new institutions emanating from the Lisbon Treaty have not had, or have not wanted to have, other visions of Europe and they have ignored its founding spirit. They have gotten entangled in technical-bureaucratic matters while our democracies and the quality of life of many Europeans have deteriorated, and not just in the South of Europe. Europe can advance towards greater political, social and economical integration and, in addition, that is the best solution to position ourselves in a globalization that we can, and need to, shape so that it does not destroy our political, social and economical rights, to be able to foster synergies to develop a global government beyond mere economical interests. Why do we not raise the 1% GDP contribution of nations to the EU? Why do we approve measures in the financial and monetary domains to later prolong them? Why do we not equip ourselves with a rating agency and a Central Bank that can influence employment beyond just controlling inflation? Why do we not have a harmonizing criterion on fiscal policies in the Euro zone and on labor standards? Why do we not accelerate our investments in investigation, development and innovation? Why do we put security ahead of cooperation in migration issues? Why can we not develop a purely European overview as regards security and foreign policy? These and many other pressing matters have been left up in the air in a campaign designed more to criticize national conjunctions than to inform European citizens, who see the EU as an abstract from which only bad news and actions with weak foundations spring. The political disaffection (abstention) cannot be attributed to the immaturity of European society, but to the apparent Peter Pan syndrome that some national and European political leaders seem to suffer by maintaining economical and political principles that have failed in order to defend interests that blur and liquefy the future of Europe.